Recently I’ve been having fun playing with my scarf collection. Tying them in different ways (check out these 32 ways to tie your scarves), and using them as outfit colour scheme inspiration. 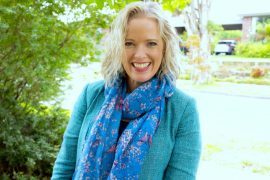 Here I’m using a scarf (that was my grandmother’s) and have used the colours in it to create my outfit for the day. Now you may look at this and say that it looks high contrast. 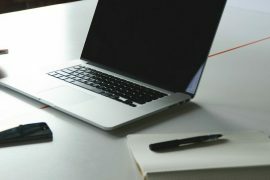 Colour contrast – which menas the difference between how different the colours are – are the the same (monochromatic) or more different on the colour wheel. This outfit is red, blue and black (I could have also chosen the white and light blue as well!). 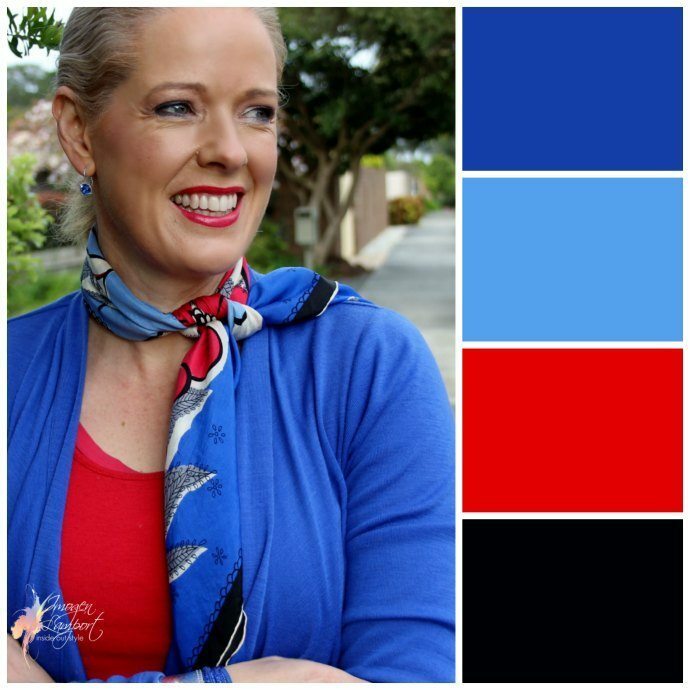 Red and blue form two parts of a triadic colour scheme (read about them here) which are great to wear if you have some colour contrast in your features. Triads work for me as I have blue eyes and wear red lipstick – which replicates the colour scheme in my natural features and colouring. But this outfit is only a medium value contrast, and 2 colours plus neutral colour scheme. Because the two colours are further apart on the colour wheel it makes the colour scheme appear “higher”. Now how do I know it’s medium value? I have 5 shades difference between the lightest and darkest elements of my outfit which makes it a medium value contrast. 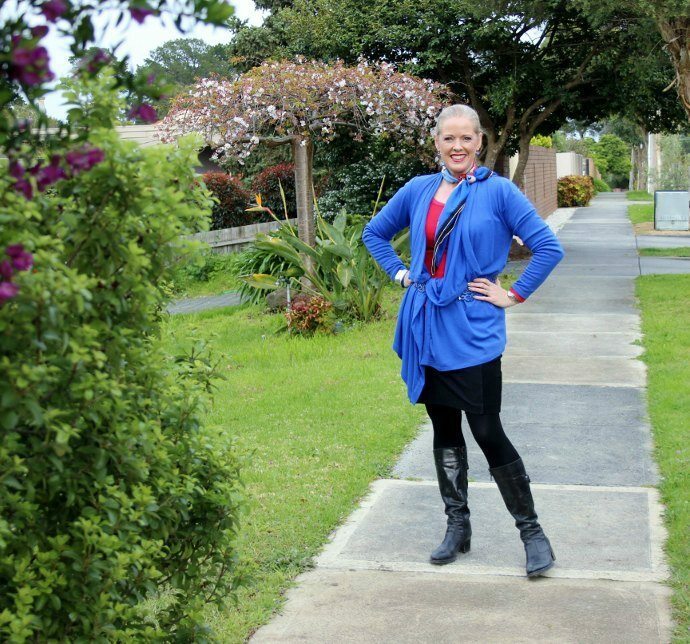 What I’ve found is that when we move outside of our natural value contrast, the outfit can really “wear you” rather than you wear the outfit. 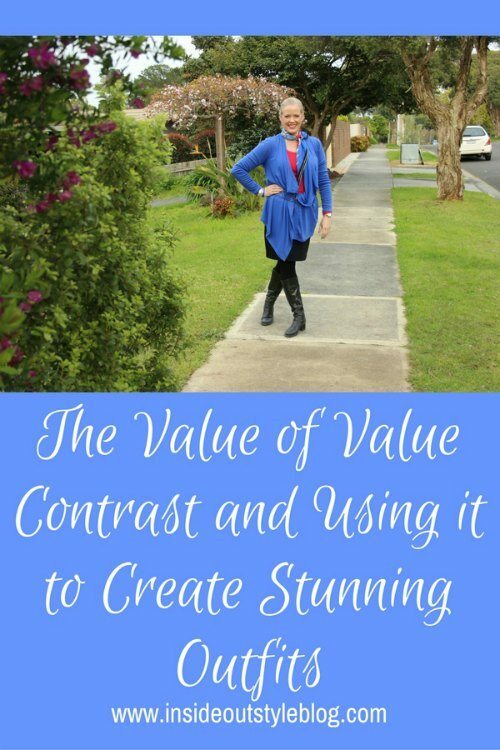 Check out this video I made which shows just how easily an unflattering value contrast outfit becomes the focus. Now in this scheme below, I’ve used this peacock feather top to create a colour scheme. I’ve used blue and orange (complementary) along with camel (neutral) – so 2 colours plus 1 neutral (but complementary scheme so it’s a brighter colour contrast and would suit someone with high colour contrast such as red hair and blue eyes). 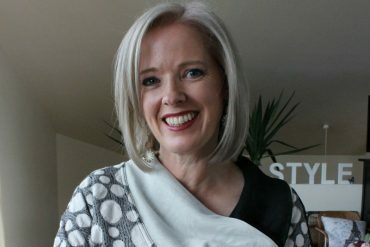 But then I’ve used only medium value contrast as each colour value steps between from the lightest to the darkest elements (the skirt and shrug would both be around 6-7 on the value scale and the peacock top has elements of a value of 2. Even though the top has some very light elements in small amounts, because the pattern has light, medium and dark elements, plus the other garments are medium in value, the overall outfit is only a medium value contrast. This outfit would suit a Spicy or Exotic (warm toasted) colouring. Now in this colour scheme below, I’ve used the same top, but created a high value, but lower colour contrast. By taking the lightest (value 9) and darkest (value 1) elements from the top (both neutrals) it creates a high value contrast as there is a value difference of 9 on the grey scale. But as I’ve chosen to take neutrals, it lowers down the overall colour contrast to being lower, and so would suit someone who is more monochromatic or neutral plus one colour in their colour contrast but needs a high value contrast. This colour scheme would suit someone with brown hair, fair skin and brown eyes who has warm colouring. 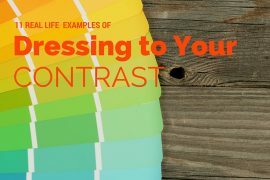 If you want more information on understanding your contrast levels read this post on my 3 Step process to identifying your ultimate contrast levels. 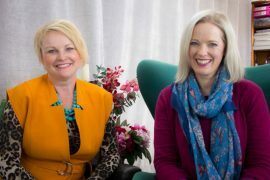 And if you’d like my personal opinion this is one of the services that come as part of my 7 Steps to Style program. Discover more about working with your contrast levels here. 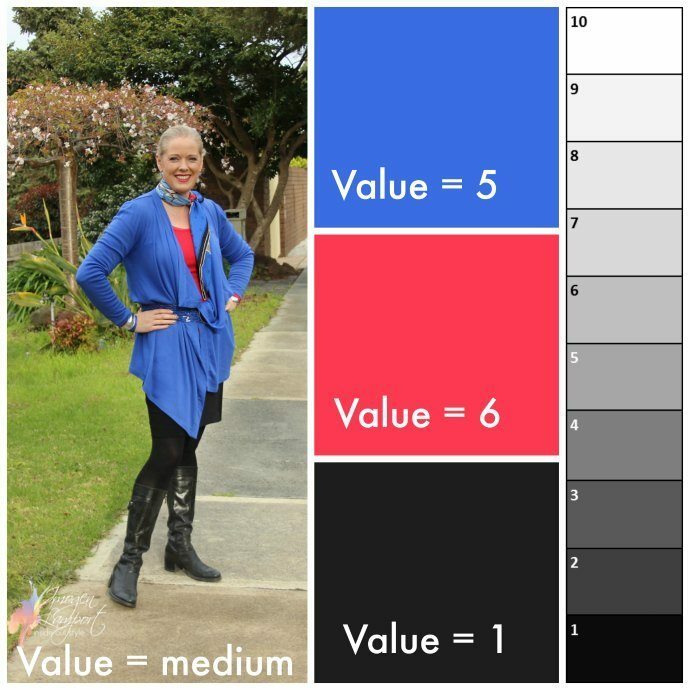 Download this blog post as a PDF – and I’ve included a Value Contrast Greyscale tool as well as Colour Contrast Indicators too in the download to help you figure out the value contrast and colour contrast of your outfits and patterns. Thanks, Imogen, that’s very enlightening. 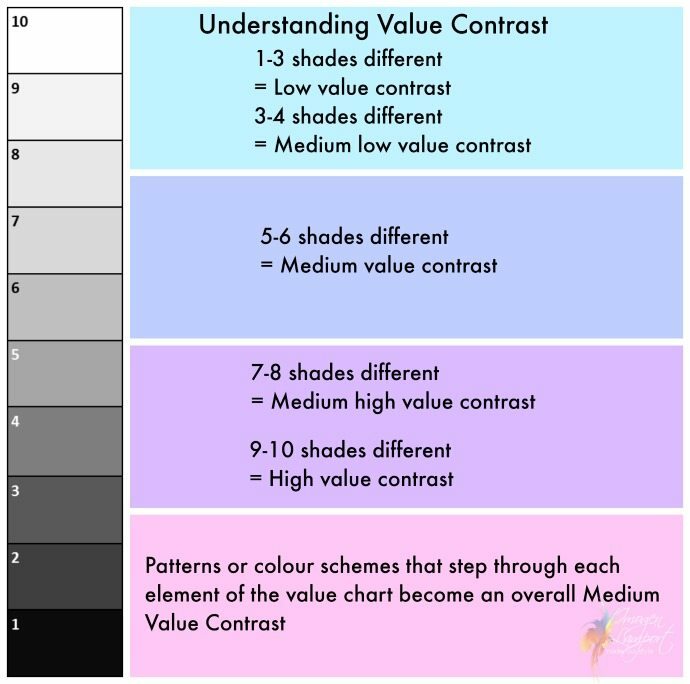 It’s the first time I have seen a description of “medium-low value contrast & this has been puzzling me for some time. Thanks MaryAnn – I hope this makes sense. 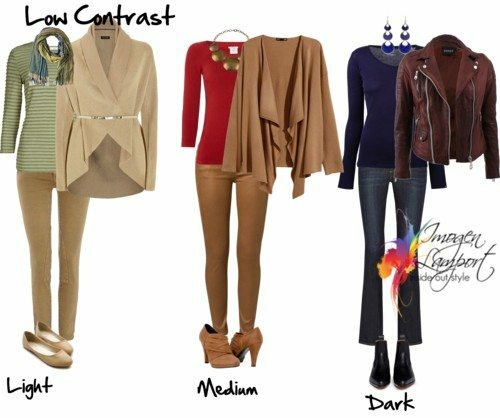 Really it’s just how much difference there is between the lighter and darker elements of an outfit or garment. I’m having difficulty deciding if I’m medium value contrast or medium high value contrast. I have quite dark hair maybe 2/3 and fair skin 9/8 with blue eyes medium blue but with a really dark rim around the pupil. Dressing in medium and dark colour combinations work but so does dressing in all deep colours especially in dark blue. I think light colours really don’t work for me and your posts have said that hair counts for 75% which confirms why deep colours work. Does that mean I’m medium value contrast even though the difference btw the lowest and highest number is maybe 7? I’ve learnt to see that if I just wear all mid tone colours or just one neutral it can look flat. So I’m learning, but choosing between medium value and medium high value has me a bit stumped. Hoping you can provide some insight. Thank you for all your invaluable posts that are such a gift to all of us. If your difference is 7 then medium high sounds right for you. Not the extreme high contrast. You can easily get away with medium value contrast too as you are in between high and medium.